What a beautiful day to discover more about one of Jasper County’s gems. 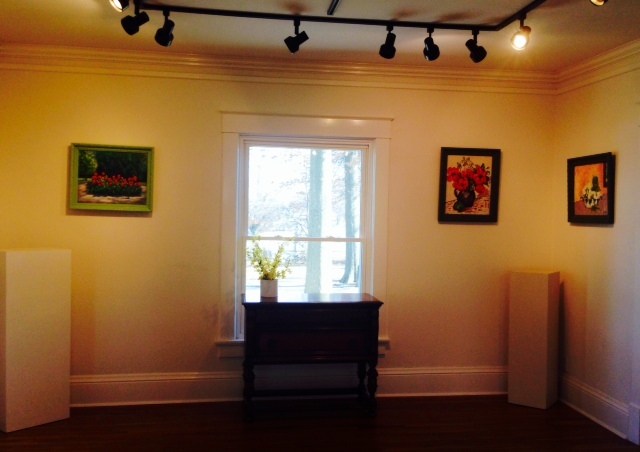 Tucked into the historic town of Carthage, MO is an art gallery that is so much more than just a place to exhibit the fine works of local artists. 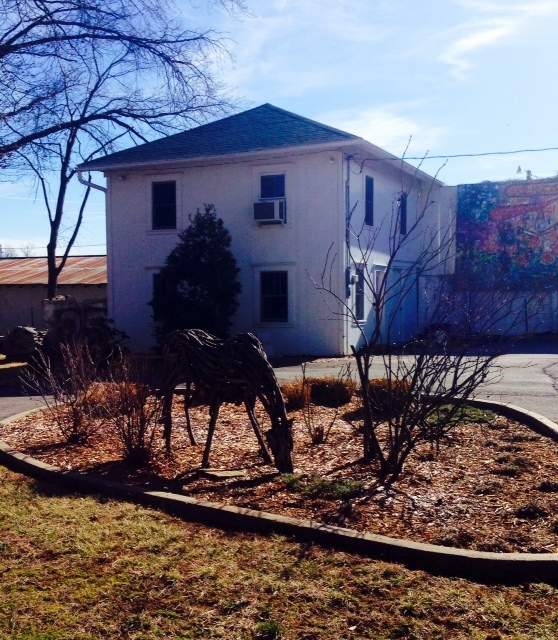 Located in Hyde House, at 1110 E 13th Street, artCentral is a cultural oasis that has served artists and the community for 30 years. Newly appointed director, Alice Lynn Greenwood, invited me to come for a visit today, an invitation I gladly accepted. I met Alice Lynn last year in Joplin. I was drawn to her engaging and unique artistic style, however, I missed her exhibit downtown. An intriguing series of synchronicities ensued, a phenomenon that I call a “strand”. 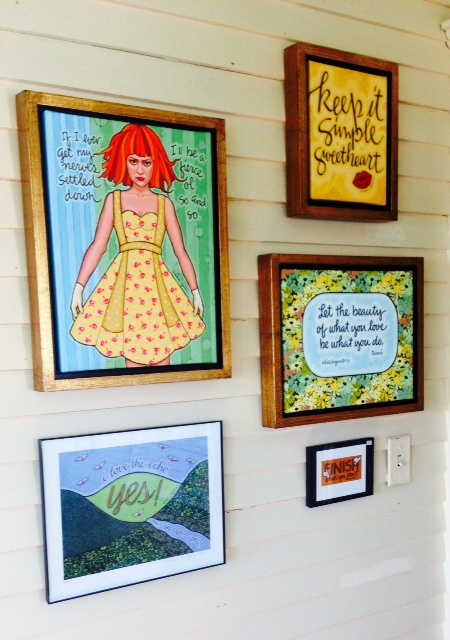 I saw wonderful framed prints in a restaurant that I visited for a first. Greg purchased one of the prints that captivated me and surprised me with it. Only then did I realize it was artwork by Alice Lynn Greenwood. In spite of missing her exhibit, I had acquired one of her prints. I friended Alice Lynn on Facebook, she saw her framed print featured in a spring vignette that I did and commented on it, and eventually I had the privilege of meeting this creative, dynamic woman whose spirit and smile both light up a room. Arriving this afternoon at Hyde House, I was enchanted immediately with the beautiful grounds and the turn of the century home that houses artCentral. Katherine Hyde bequeathed her family home to the city upon her death in 1989, establishing a trust fund for its care and upkeep. 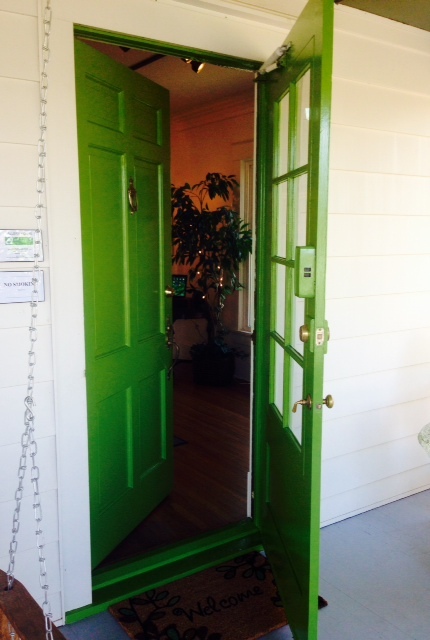 A wide covered front porch and vibrant green door welcomed me. Alice Lynn, just as vibrant and welcoming, greeted me and gave me a tour of the home. I am a realtor, in part, because I love houses, old houses especially. This is an amazing home, well kept, uncluttered and neutral in color so as to best showcase the works of art that are on exhibit here. 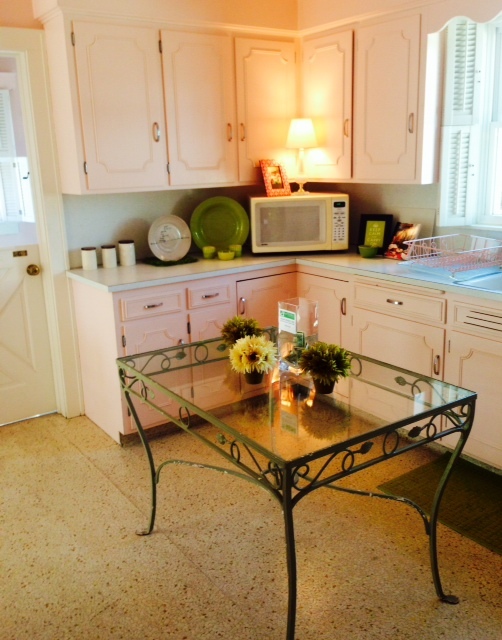 The kitchen still has its pink cabinets. The two sparkling bathrooms sport green tiles in the downstairs bath and pink in the one upstairs. 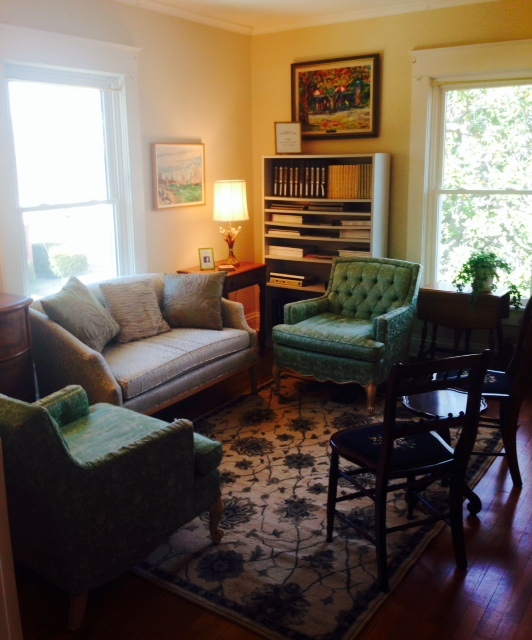 There are exhibit rooms and a cozy, inviting library, meeting rooms, an office/studio for Alice Lynn, and at the very top of the house, an artist salon, currently undergoing renovation. I was charmed, everywhere I looked. The house is just background, however, as gorgeous as it is. The real draw of artCentral is the creative spirit that permeates every nook and cranny. I felt inspired to create as I stood within the house. Alice Lynn was delighted, as that is just the atmosphere she is fostering here. From the artist room beneath the eaves to the pottery house at the back of the property, artCentral beckons to the imagination inherent in all of us. Alice Lynn has so many wonderful ideas and plans for giving artists, budding artists and the community opportunities to explore their creative and imaginative sides. She has revamped the website, expanded artCentral’s social media presence, and is in the process of scheduling exhibits and workshops, a children’s camp and Saturday fun days. Along with the array of art classes offered this year, Alice Lynn has the vision to expand the workshops to include yoga, tai chi and a blogging class, taught by me in March. She recognizes that creativity takes many forms and will host poetry readings and other cultural events that feed the soul. A children’s camp in late July will offer young artists the chance to learn technique and develop their abilities and will culminate with an exhibit during a downtown Carthage Artwalk. I am excited by the many possibilities offered to open up my creativity and expand my knowledge and skills. I want to be a part of this hub, this community, of art and culture! I will be joining as a member of artCentral. I appreciate Alice Lynn so much and her journey. We stood in her office, which is also her studio, and talked about art, and the flow of life. The two are connected, of course, as allowing our creativity to develop opens us to so many other amazing life experiences. Below are links to artCentral’s website and the Facebook pages of the organization and Alice Lynn Greenwood. I look forward to seeing and experiencing the ripple effect that will emanate from this cultural center. What a delight to have your afternoon visit at artCentral. Thank you for generously donating your time and expertise to teach our very first artCentralBLOGGING Workshop scheduled for March 21st here at Hyde House. Thank you, too, for sharing our story with your lovely pictures and words and for joining us as an artCentral Member. With your support and the support of our other Members, we continue to grow and expand as we serve art and artists in Carthage and far beyond. 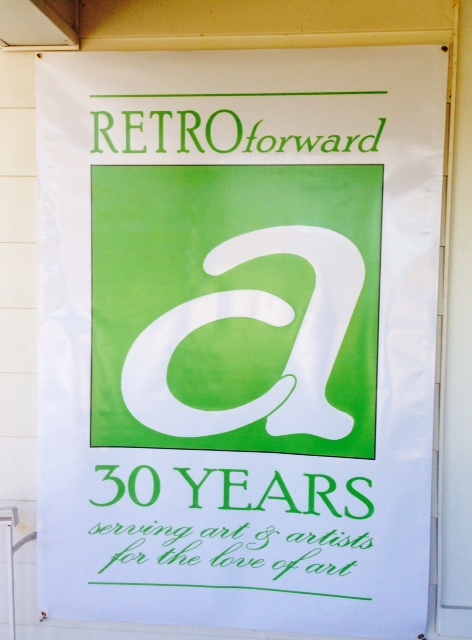 2015 is our 30th Anniversay! Everyone is invited to join in our year of RETROforward! celebrations. Our first Exhibition of the season, featuring the artists of the Joplin Regional Artists Coalition, opens with a Reception at 6 pm on Friday, February 20th with festive foods and libations. Admission is free. I look forward to having you with us then. Again, thank you, for telling the story of our treasure we’re eager to share.